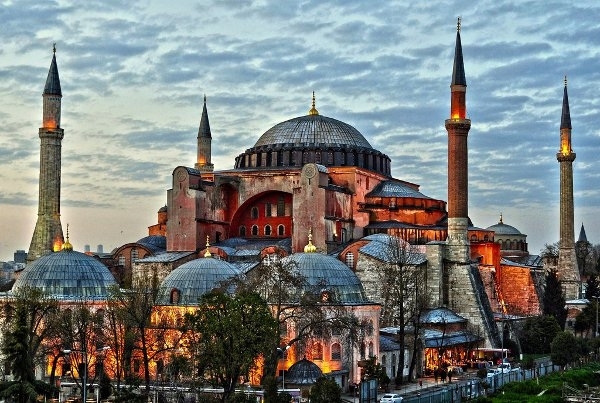 Hagia Sophia served as the seat of the Ecumeniacal Patriarchate and it is also known as “the eighth wonder of the world”! Built in 537, dedicated to the Wisdom of God, it was a Christian church for over 900 years…until the conquest of Istanbul by Fatih Sultan Mehmed in 1453. 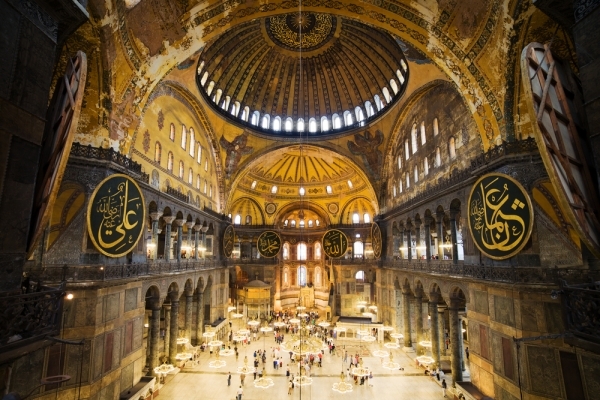 Hagia Sophia is an amazing architectural sample of Byzantium Era, which was converted into a museum in 1935. 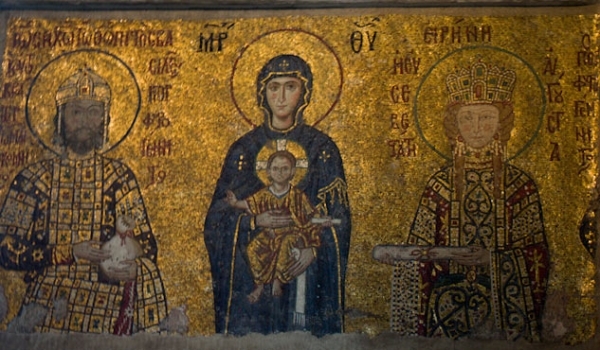 All major state ceremonies, took place at Hagia Sophia: the Coronation of Emperors, the Christening of Porfyrogennitos, the Weddings of Emperors, the Funerals of Emperors, the Ordinations of Patriarchs and many more! The myths and the legends surrounding this imposing church, stand still alive even after so many centuries... just like Hagia Sophia sits proudly... waiting to be admired! 2. "The construction and the bees"
4. "The Tower of the Princess"
A monk caught some fishes and he was frying them near the banks of the river. Suddenly a bird came close to him and announced the fall of Constantinople by the Turks! The monk didn't believe the news so he told: "if the fishes jump from the pan back to the river, that means that the city is fallen!". And then out of a sudden, the fishes jumped to the river... verifying the truth!